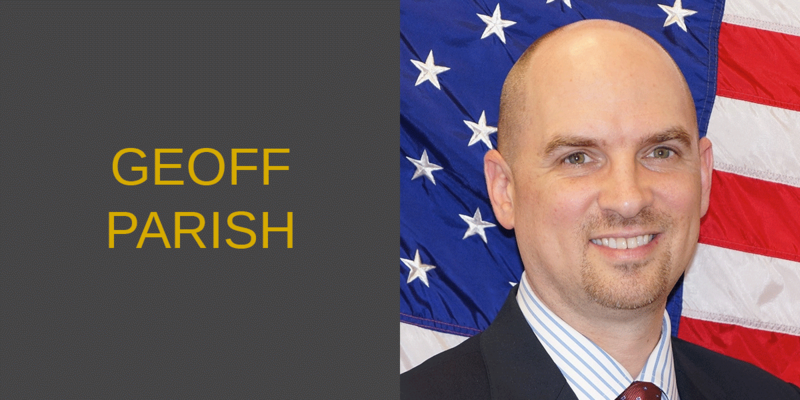 Geoffrey Parish is the Deputy Senior Commercial Officer at the U.S. Consulate in Hong Kong & Macau. Previously, he was assigned to the U.S. Consulate in Mumbai, India and served at the U.S. Export Assistance Center in Boston, Massachusetts. Before joining the U.S. Commercial Service, Geoffrey was based in Thailand, where he was a consultant for Weben Partners, advising multinational clients on route-to-market, sales execution, and market access issues in the ASEAN region. He later joined Bentoli, where he was the Business Development Director for Asia and managed the company’s operations in Thailand. From 2005 – 2010, Geoffrey was a Foreign Service Officer with the U.S. Agency for International Development (USAID), and completed tours in Thailand, Vietnam, and Washington, DC. Geoffrey’s prior experience includes working as a trust officer for Comerica Bank, a corporate affairs consultant for Fauna & Flora International, and monitoring international elections for the OSCE. He was a Peace Corps Volunteer in Lithuania. Geoffrey holds an MBA from the University of Cambridge; a B.Sc. in Political Communication from Emerson College; and studied at Vesalius College, Vrije Universiteit Brussel in Belgium.